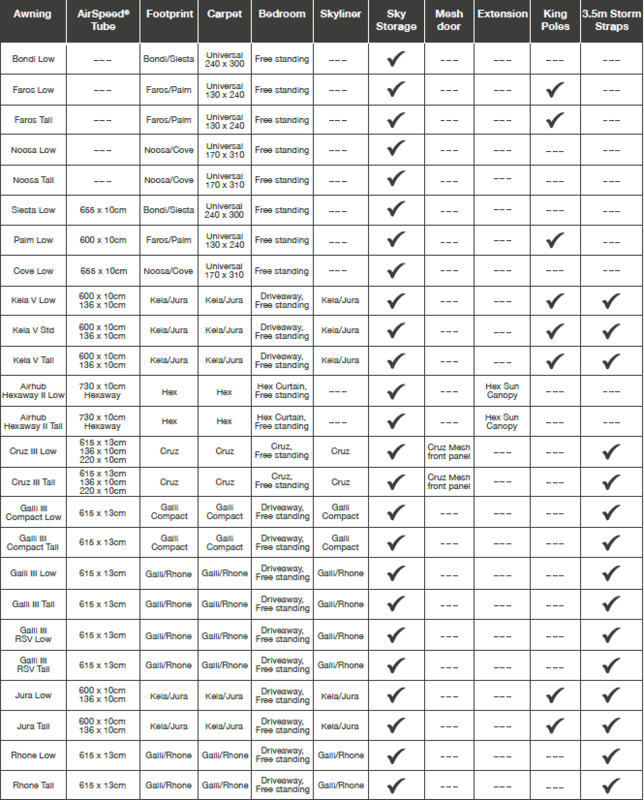 Create that home from home feel in your vehicle awning with our optional additions. Accommodate for extra guests with our bedrooms, create a handy canopy with some king poles and keep the temperature at a comfortable rate with our SkyLiners and mesh doors. Curtain suitable for the Airhub Hexaway to create private area. 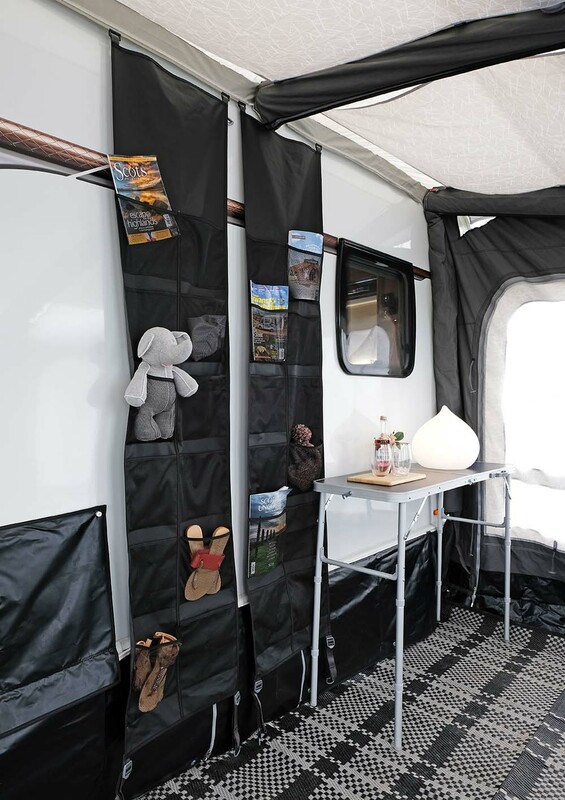 The brand-new Hex Privacy Curtain creates a private area inside your awning, which can be used as a changing area or even to section off an additional bedroom for extra guests. The Hex Privacy Curtain is only suitable in the Airhub Hexaway awning. The curtain is simply secured at the sides of the awning and can be either zipped up for privacy or tied back when not in use, just like your curtains at home. Sun Canopy for the Airhub Hexaway to provide shade in rain or sun. Brand-new to the range is the Hex Sun Canopy, designed to expand your outdoor living space and protect you against sun or rain, meaning you can enjoy meals in the great outdoors, whatever the weather. Compatible with pre-2019 models as well as this year’s model. 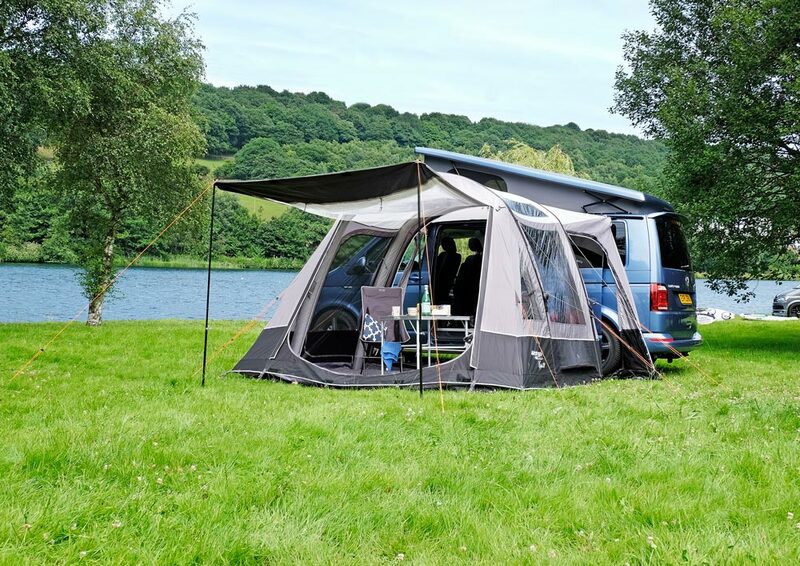 Simple and hassle free to pitch, this canopy is made to measure, clipping in to the guyline attachment points ensuring it fits perfectly onto your awning. It is secured into the ground with 3 adjustable poles, allowing you to pitch it on uneven terrain. The Cruz Mesh Panel is a separate full front panel to replace the original door for ventilation. 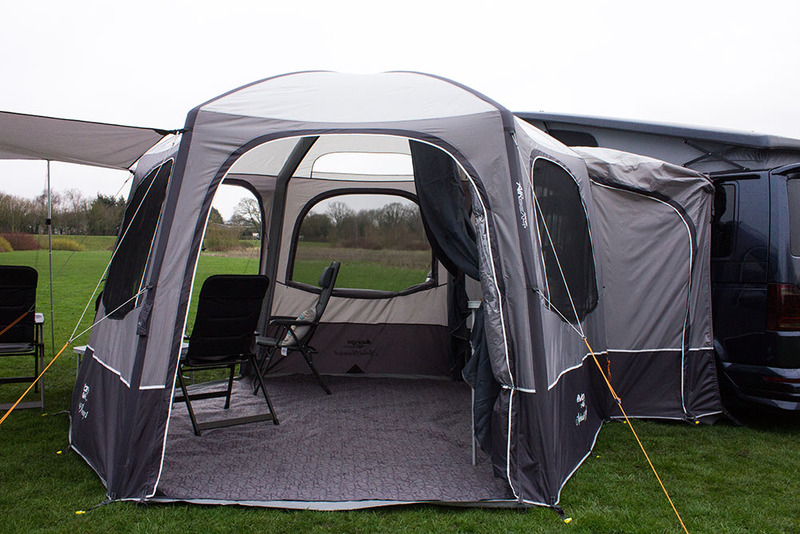 New to the Cruz Additions range is the front mesh panel, an excellent addition to your awning to help provide further ventilation whilst keeping the bugs out. 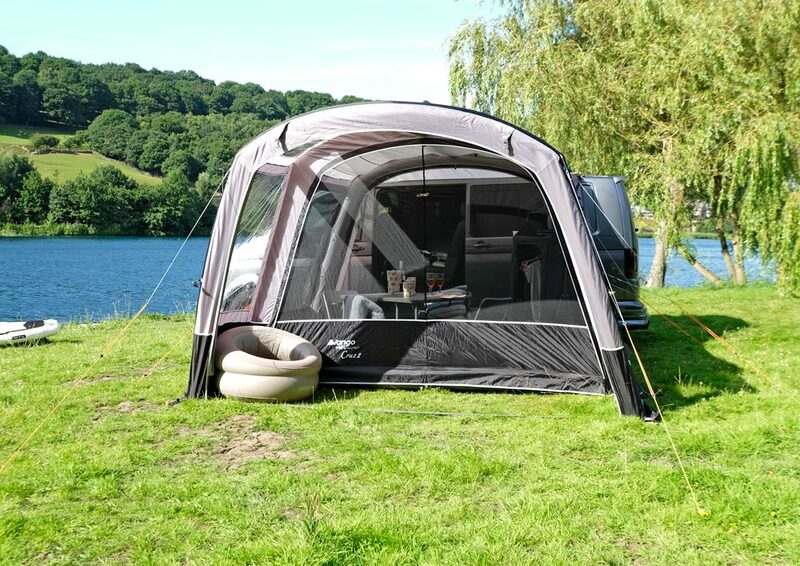 The mesh panel is only available for the Cruz Drive Away awning. 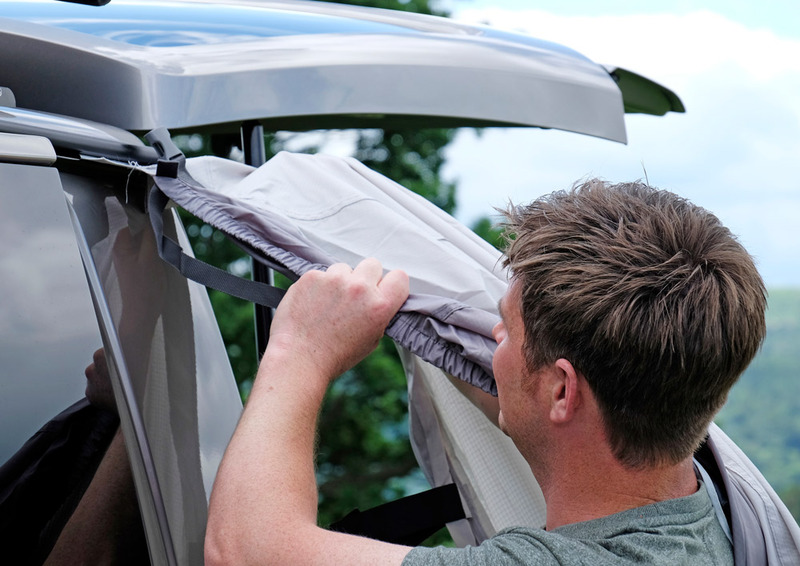 Simply unzip the front of your awning fully and remove, then zip on the mesh panel! 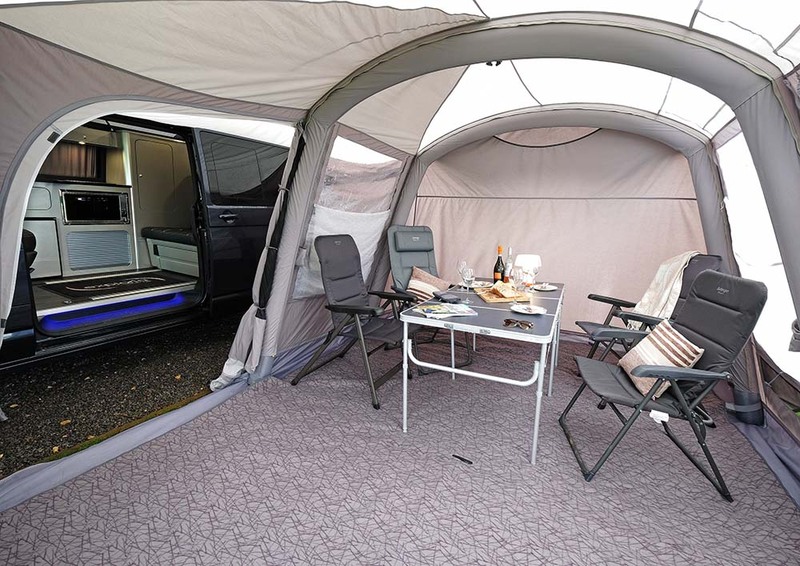 You can even keep the mesh panel on your awning for as long as you please, as the Cruz has a side and connecting tunnel door for easy access. Can be used to accommodate guests or even as a storage space for all of your equipment. The bedroom can be easily attached inside your awning, or detached when not in use. The bedroom inner is fully-sewn in, breathable and has mesh at the top of both doors so that you remain comfortable throughout the night. 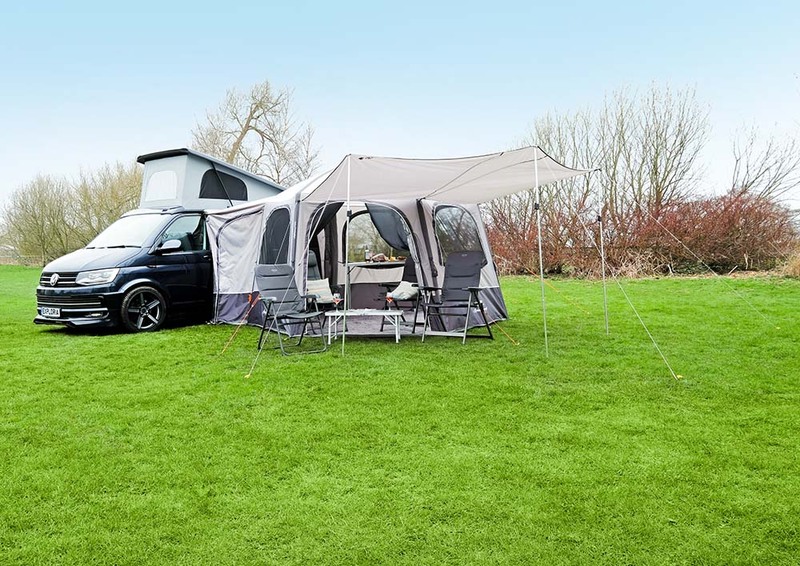 It is available for all drive away awnings, except the AirHub Hexaway and Cruz awning, which has a separate optional bedroom available. Cruz specific optional inner bedroom. The bedroom inner is fully-sewn in, breathable and has mesh at the top of both doors so that you remain comfortable throughout the night. 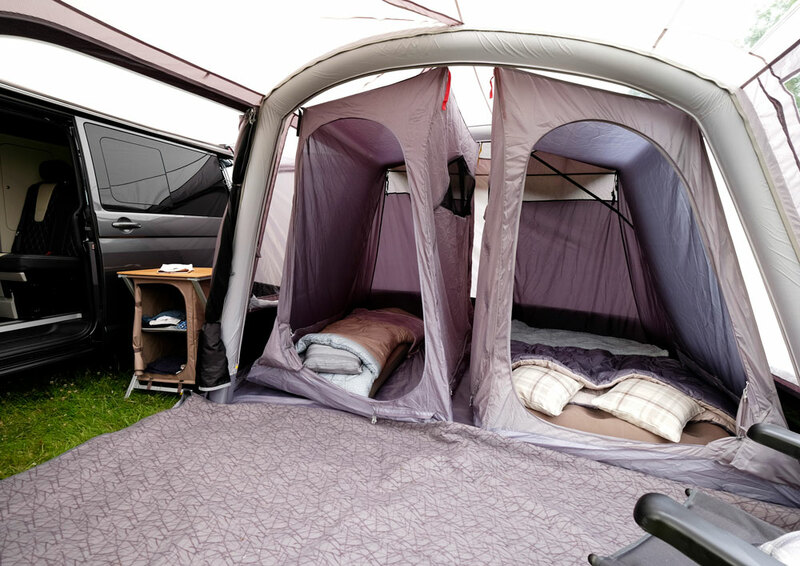 This bedroom inner has been designed to fit specifically in the Cruz awning. Fitted carpet for your drive away awning. 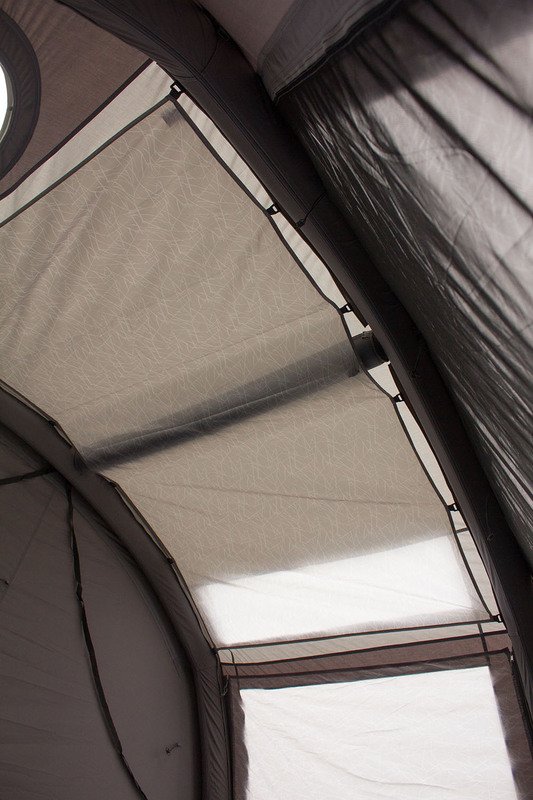 Provides a soft and comfortable layer underfoot, allowing a home from home feel in your awning. Not to mention its ability to protect the awning groundsheet from dirt and wear. These are designed to match your drive away awning, and we have a range of various sizes that will fit just right, whatever awning you may have! A footprint is a protective, waterproof barrier for your awning groundsheet. Specifically designed to protect the groundsheet of your awning from small tears or holes caused by stones. 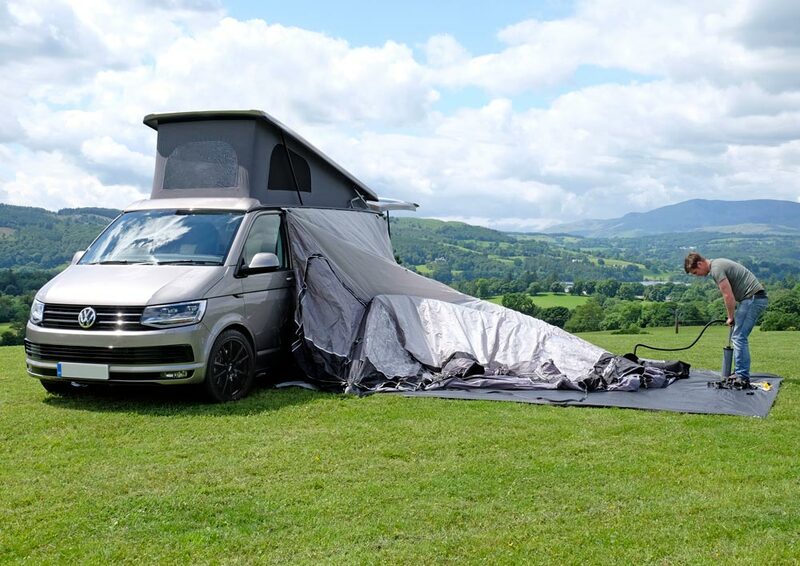 The footprint can also mark out your pitching area, ensuring you pitch your awning in the correct position beside your vehicle. Footprints are easy to remove and clean, making them an invaluable addition to extend the life of your awning. The Vango SkyTrack II® System is a brand new, built-in addition to all caravan and drive away awnings in the 2018 range, offering handy lighting solutions and extra storage options! The track is fitted to the beam sleeves inside the awning, providing a smooth channel for our SkyHooks and SkyLiner's to simply attach and detach when necessary. 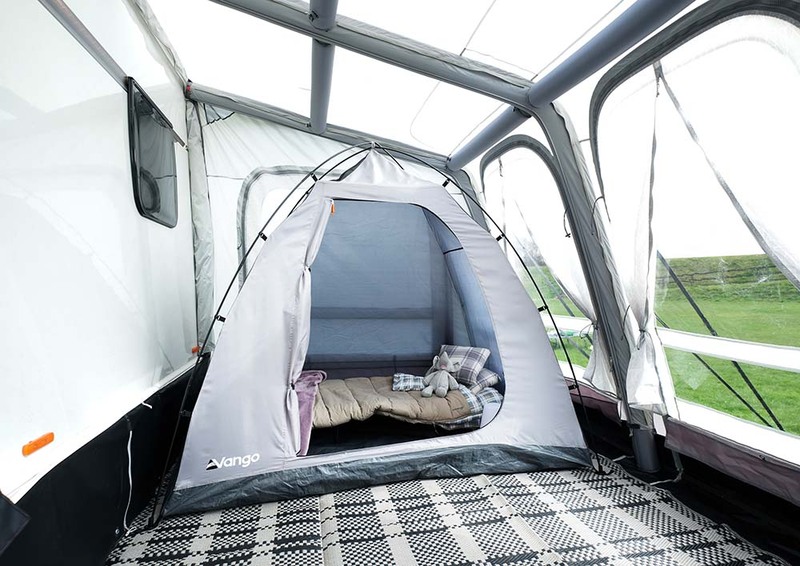 Vango SkyLiner’s slide effortlessly onto the built-in SkyTrack II® System in your awning with pre-attached Sky Hooks. They are soft to touch and made-to-measure for each specific caravan or drive away awning for 2018, therefore these cannot be used in collections from 2017 or earlier. Adjustable poles create a canopy for extra shade. Vango King Poles can be inserted into the eyelets of your awning and propped up to create a canopy, shading you from the sun or protecting you from the rain. These are only available for the Idris and Kela drive away collections due to the shape and size of the doors. Robust straps to secure awning further. Figure of 8 connection to allow driving away. 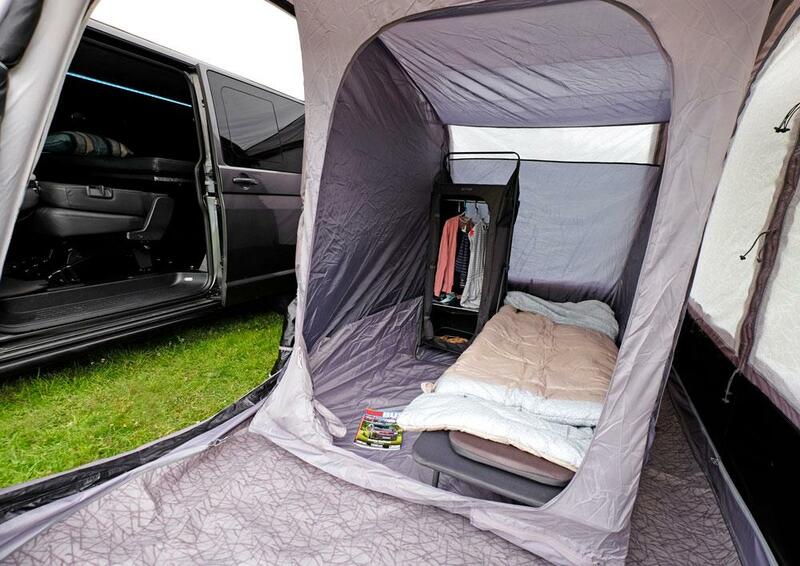 The Vango drive away kit is used to attached your awning to your vehicle and allows you to drive away when you want to head out for the day in your campervan or motorhome. Simply slide your awning into the rail! 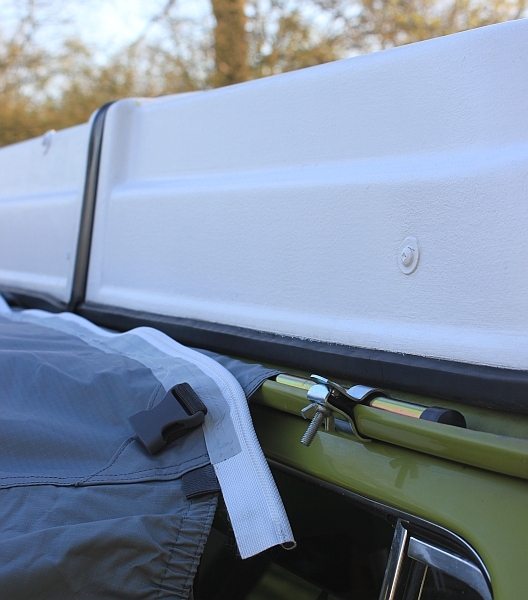 Drive away kits are suitable for all drive away awnings in the Vango collection, where the size of the drive away kit is dependent on the size and attachment system on your vehicle. Form of awning attachment system to your vehicle. If your vehicle has a deep gutter, then a pole and clamp attachment system is for you! 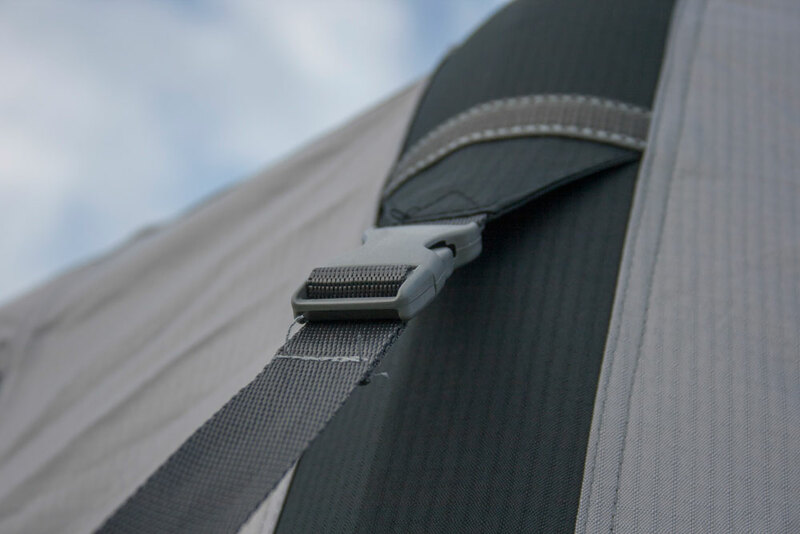 Simply slide the pole into the sleeve, at the top of the rear section of the AirAway®. Place the pole and fabric into the gutter of the vehicle, and use the clamp to secure at both ends and in the centre. AirSpeed® tube to replace original beam(s). As mentioned, we have a vast variety of different beam sizes, so make sure you have checked which beam is suitable for your drive away awning. If you aren’t sure how to replace a beam, check out our video on how to replace a beam in your awning.